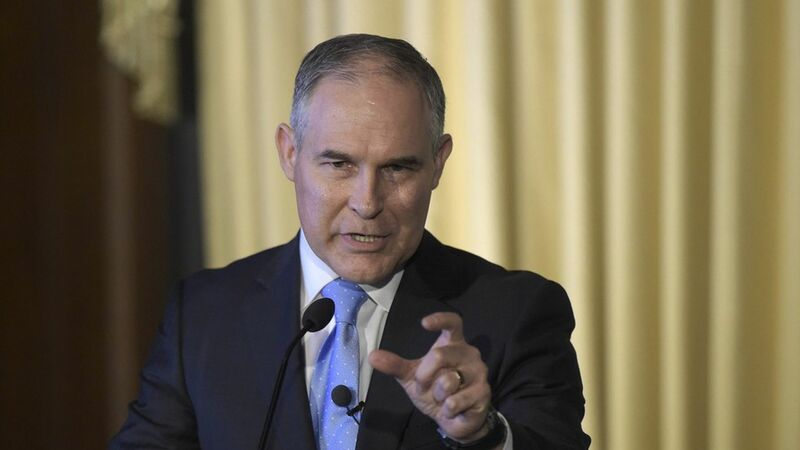 New EPA Administrator Scott Pruitt told a major conservative conference on Saturday to expect action from the Trump administration as soon as next week to start unwinding ex-President Obama's environmental rules. "There are some regulations that in the near term need to be rolled back in a very aggressive way, and I think maybe next week you may be hearing about some of those," he said at the Conservative Political Action Conference. He didn't offer details, but the White House is expected to issue executive orders that start rolling back Obama rules to bolster Clean Water Act regulation and cut carbon emissions from power plants. Why it matters: Pruitt's remarks amounted to a conservative battle cry against EPA that went well beyond his more staid opening address to agency employees last week. He said antipathy toward EPA is "justified," noting: "I think people across this country look at the EPA much like they look at the IRS, and I hope to be able to change that." How they'll defend the rollback: Pruitt cast Obama's extensive work on global warming as a distraction from EPA's programs on water quality, air pollution, and hazardous waste cleanup. That's a signal that the Trump administration will use the argument to justify its rollback of the climate change regulations.